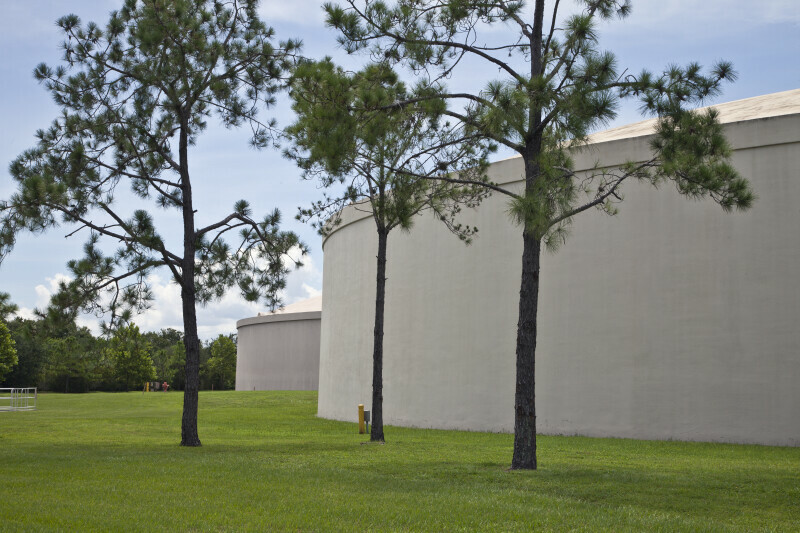 Photograph of two storage tanks at the Northeast Water Reclamation Facility in St. Petersburg, Florida. The tank in the distance can hold up to 10 million gallons of reclaimed water. The tank in the foreground holds 8 million gallons and can be used either to store reclaimed water or rejected water that is then sent back through the filtration process.